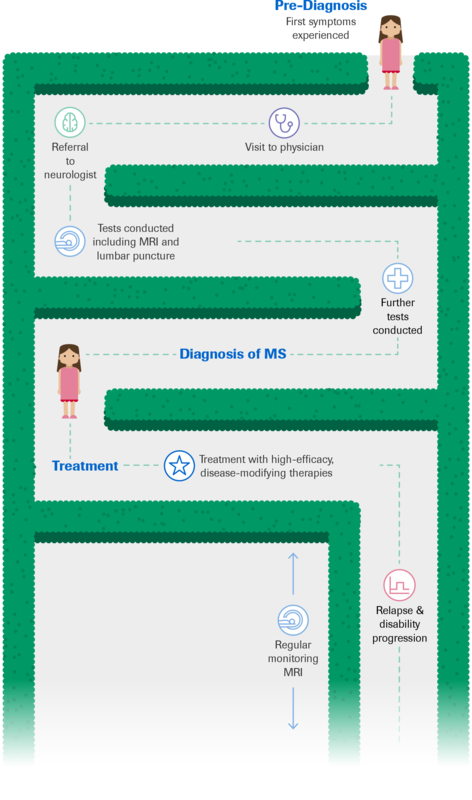 As a result of research and innovation in multiple sclerosis (MS), over the past 20 years the MS community has seen patient pathways transformed. 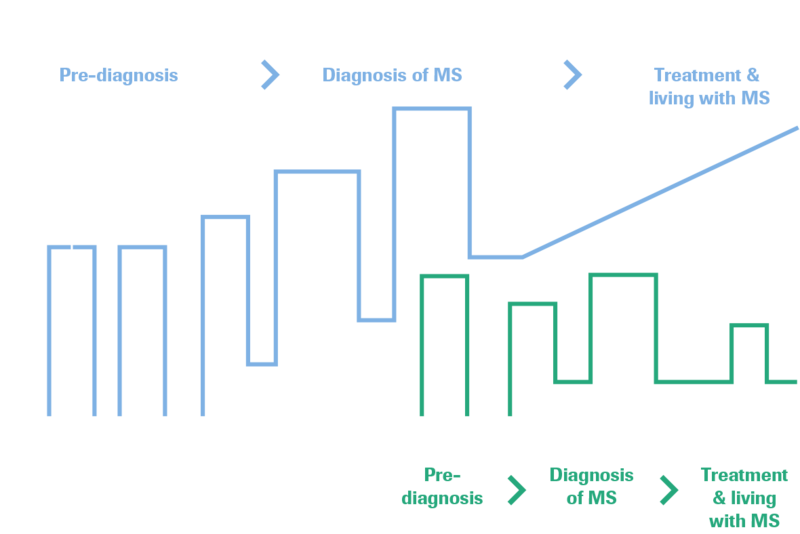 Although we still have a lot to learn, research into the underlying biology, advanced monitoring methods, and new therapeutic options have shortened the journey to both diagnosis and treatment, reducing disease progression for people with relapsing MS (RMS). Explore the hypothetical pathway of a person with relapsing MS diagnosed ~20 years ago and hear about real experiences from people with MS and physicians. A lot of the symptoms of MS are non-specifc initially meaning they don’t raise a flag to a general practitioner, or the symptoms are specifc but the general practitioner doesn’t refer the patient, or sometimes people with the disease don’t complain about the symptoms as they are not that disabling or transient. I was diagnosed back in 2010, but I believe I had MS for a very long time before I got diagnosed at the age of 37. Strange things had been happening to me over a 10 to 15 year period. I had been having on-off issues with fatigue but things got confusing during pregnancy as most mothers would feel tired. Things were quite confusing and I was visiting the doctor with these issues. When I look back to the early 2000s when I first entered the field of MS, there was about a four year delay between first experiencing symptoms of MS and a diagnosis. 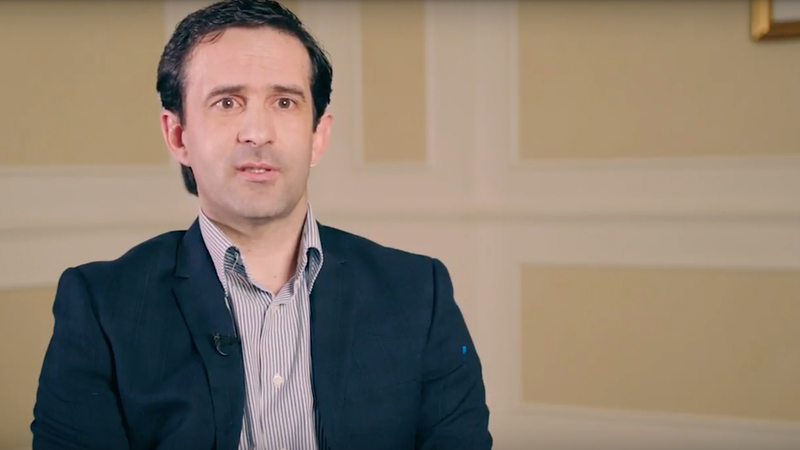 It’s important we ask patients many questions about their MS symptoms during appointments, as well as involve support partners, who often remember much more about the changing of symptoms over time than the patient themselves. Explore the hypothetical pathway of a person with relapsing MS diagnosed ~10 years ago and hear about real experiences from people with MS and physicians. 90% of disease activity would only be visible by MRI. Only 10% would be visible for the best neurologist who was able to monitor everything. So I think the majority, nine times more activity is seen by MRI. Yes, we have higher efficacy therapies that might not be for everyone, but 10 years ago we had such limited options and today we can slow this disease for the majority of people – it is so exciting. I’m optimistic we are now in an era of true hope for treating MS. The best marker for disease progression in MS is the MRI scan, particularly of the brain. Especially early in the disease process, I usually see a clinical and radiographic mismatch. This means we’ll see signs of disease activity on the MRI about five to ten times more than a patient will report symptoms in the clinic. Neurologist at Des Moines’ Mercy Ruan Neurology Clinic, U.S.